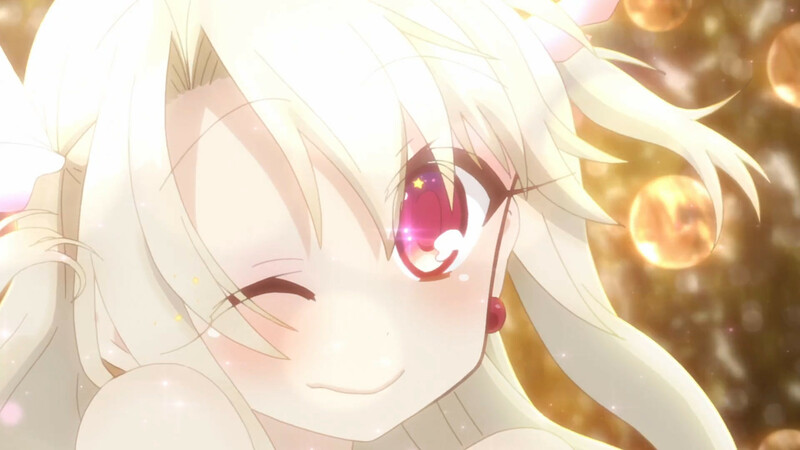 Illyasviel von Einzbern's normal life is suddenly halted by the Kaleidostick Ruby, a magical wand on the run from her former master who instantly decides that little Illya has all the right stuff to become the next great magical girl. However, Ruby's previous owner Rin Tohsaka isn't exactly thrilled to be de-wanded, especially since she's just accepted an assignment to collect the seven legendary Class Cards. It seems the only solution is for Illya to take up the task and learn the ropes under Rin's supervision. Meanwhile, a girl named Miyu has been chosen by the Kaleidostick Sapphire as HER new master, much to the irritation of Sapphire's previous master, Rin's arch rival Luviagelita Edelfelt! Exactly what kind of plan are the wands conjuring up? Find out as the Fate/stay night universe "kaleids" with a healthy dose of magical girl mayhem!